Got a quick little post for you guys! 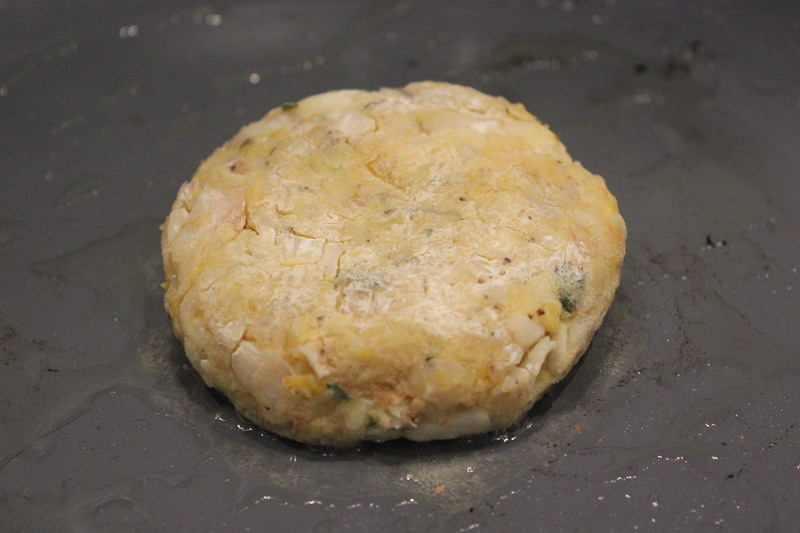 So I was making dinner tonight and what started out as searing some left over haddock and baked plantain from the other day culminated in the creation of a yummy new hybrid. 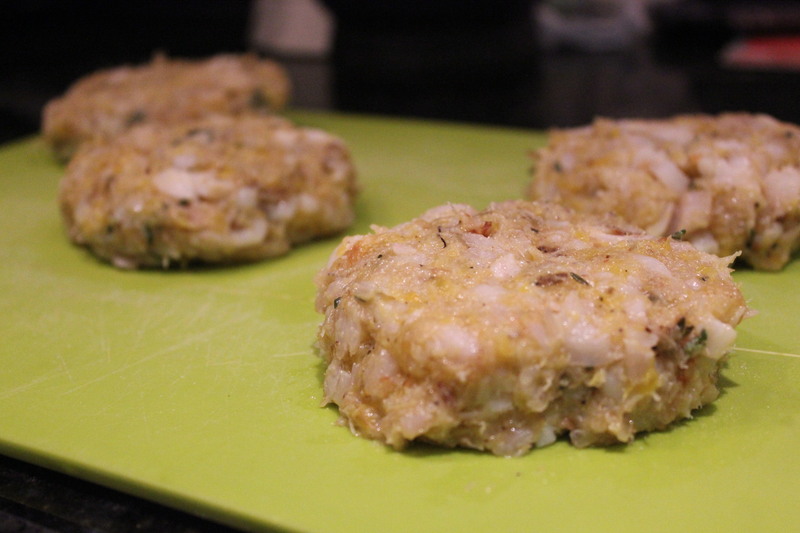 Plantain and haddock patties are delish! 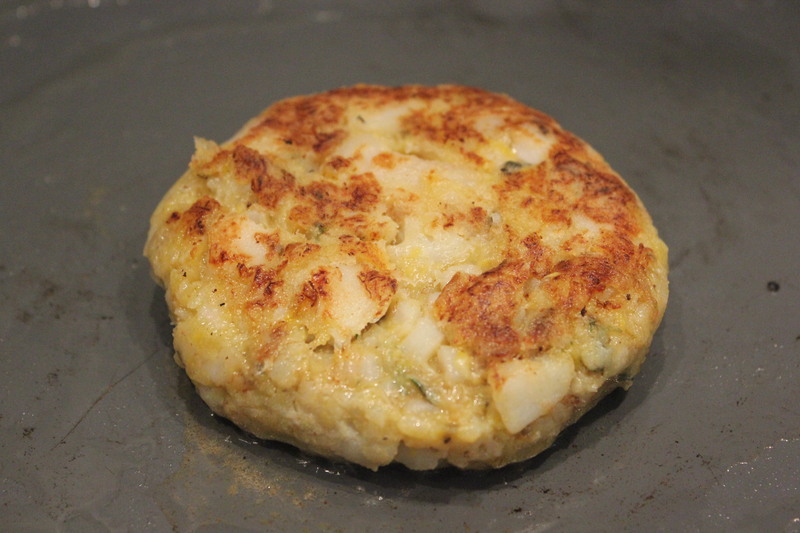 If you’re a fan of salt cod and mashed potatoes (but crave a hint of the tropics) this is right up your alley. 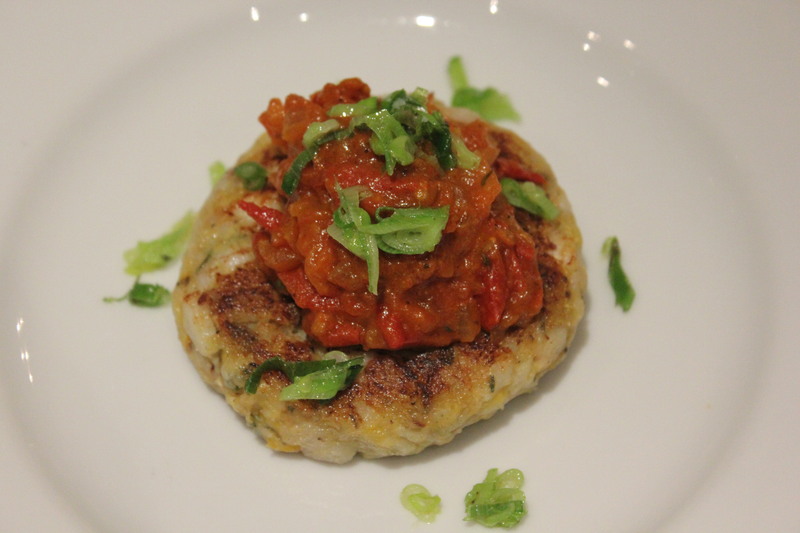 Check out the super easy recipe below! **NB: Sorry I did not take any pictures of the start of the process (only decided to share this halfway through! ), but do send me a message if you have any questions about the procedure — happy to help! Slice plantain to ½ inch thick cylinders, lightly coat with oil and season with salt and pepper. Place plantain in foil and avoid stacking. Seal foil and place on baking sheet. Place plantain in oven for 10 minutes or until easily pierced. While plantain bakes, season fish with salt, pepper and lemon thyme. Lightly coat a pan with oil and place over medium high heat. Place fish in pan and sear on one side until it begins to flake. Lower to medium heat and start to break fish in pan into bite size pieces. Add lemon juice, blend and remove from fire. Remove baked plantain from oven and take out of foil. With a pestle and mortar or mixing bowl, begin to mash plantain into one mass. 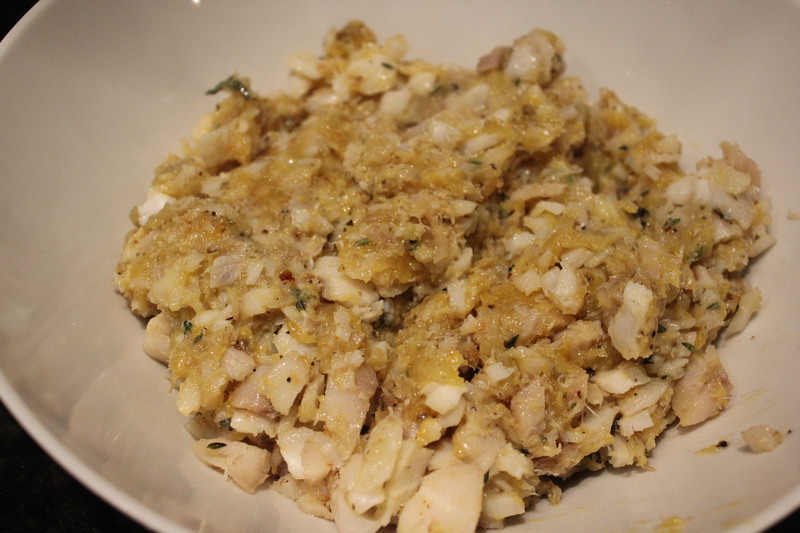 Add plantain mash to fish and mix together until well blended. Check seasoning and adjust if needed. Set aside to cool for about 15 minutes. 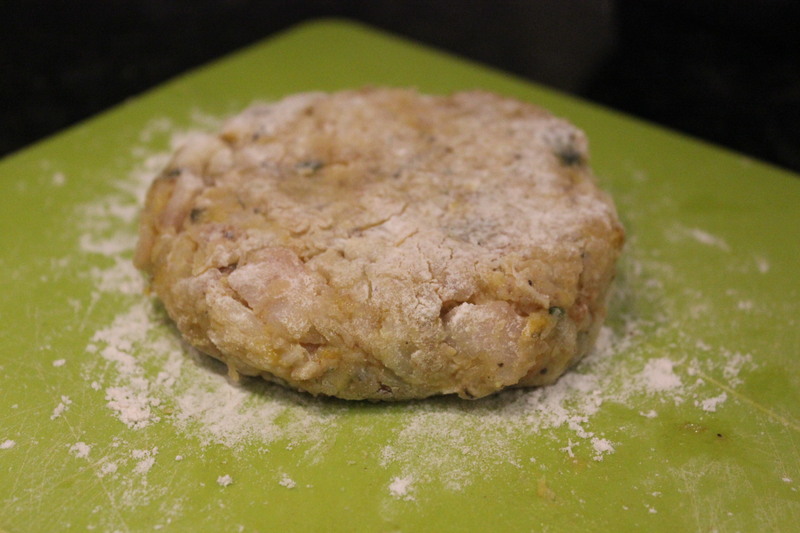 Once cool, form mixture into patties and lightly dredge with flower, dabbing off excess flour. Lightly coat a pan with oil and place over medium high heat. 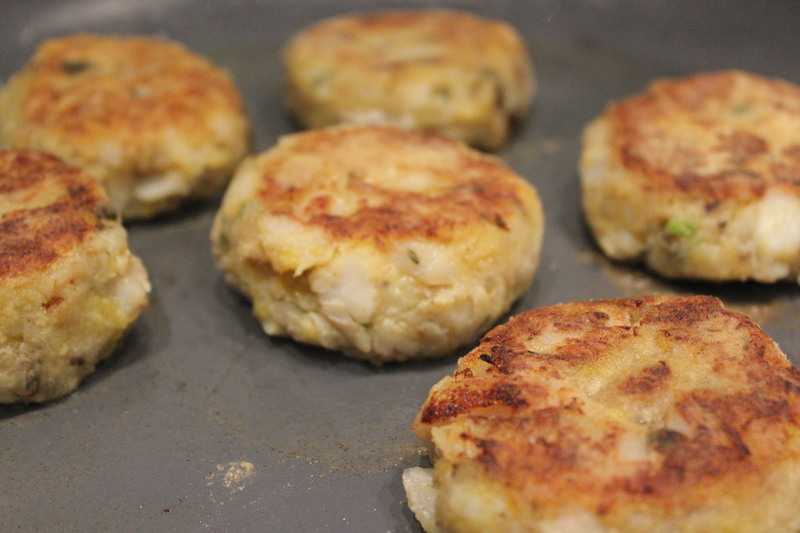 Place patties on pan and cook both sides until golden brown. Serve as you’d like! I recommend a spicy or creamy tomato based sauce.